Tamil Nadu the temple state of India has some of the most revered and famous temple like Meenakshi Temple in Madurai, Lord Murugans Aru Padi Veedu, Nataraja Temple in Chidambaram, Navagraha Temples around Kumbakonam, Rameswaram Jyotirlinga Temple in Rameswaram, Arunachaleshwar temple in Thiruvanamallai,Sri Rangam Temple in Trichy, Suchindram Templs in Kanyakumari , Nellaippar Temple in Tirunelveli & Parthasarthy Temple in Chennai. 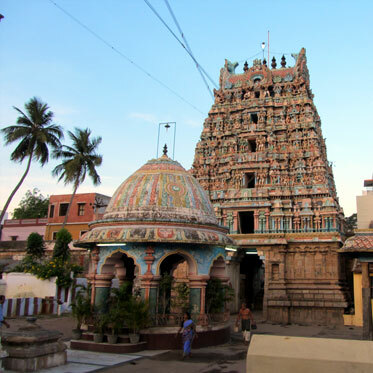 Chakrapani temple kumbakonam is considered to be one of the most important Vishnu temples in South India, along with Srirangam and Tirupati. 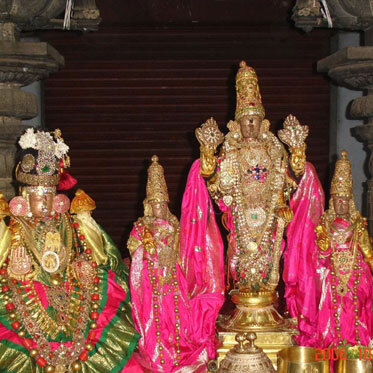 Seven of the Alwars sang the glories of this temple. 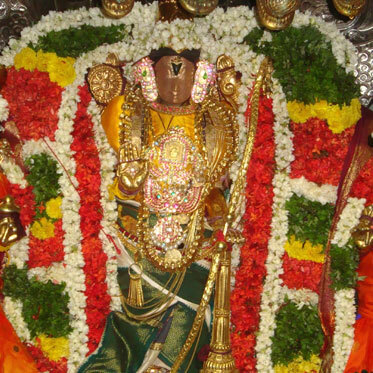 Lord Sarangapani is the presiding Deity of the temple. 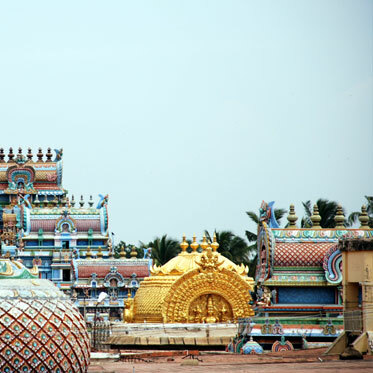 The Kapaleeshwarar temple, with a seven-tiered Gopuram, is known for magnificent sculptures depicting Puranic incidents. 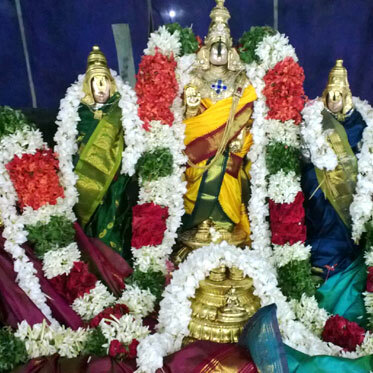 Sri Kapaleeshwarar and Devi Karpagambigai are in separate shrines. Lord Vinayaka and Muruga are in smaller shrines. 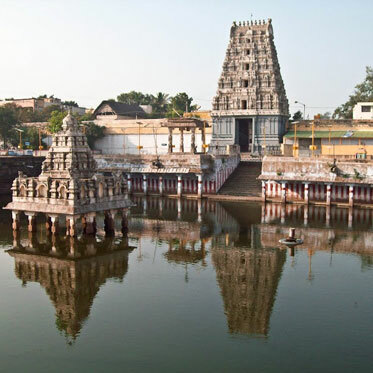 The holy temple city of Kanchipuraam is famous not only for a number of Shiva temples and the Vaishnava Temple, but also because of the presence of a unique and a separate temple dedicated to Lord Chitragupta. 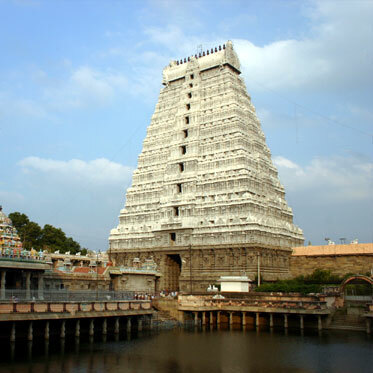 Kancheepuram, one of the most sacred and religious Hindu pilgrim centers in India is also called the ‘Land of the Thousand Temples'. 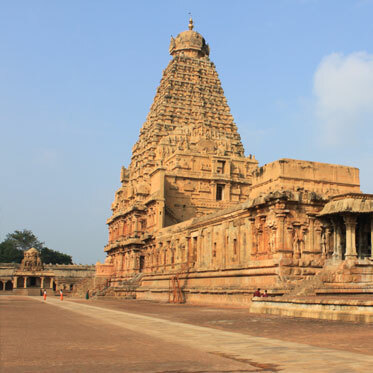 This ancient city was once the capital of some of the mightiest empires that rules South India. Kanya Devi temple is dedicated to goddess Parvati as Devi Kanya The Virgin Goddess who did penance to obtain the hand of Lord Shiva. 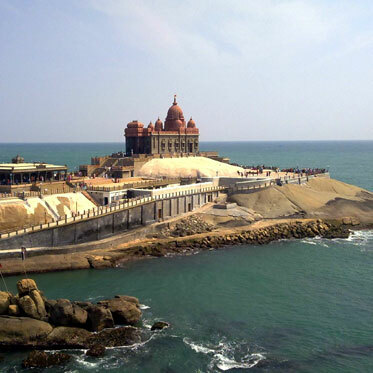 Kanya devi temple in kanyakumari is situated on the beach and there are long queues to enter the temple. 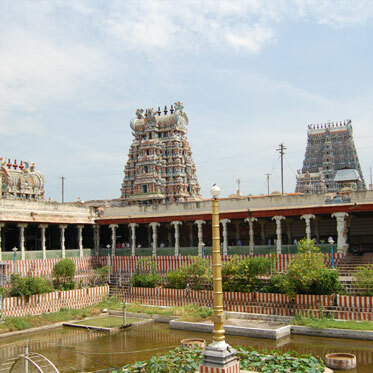 The Kapaleeshwarar temple in mylapore, chennai , with a seven-tiered Gopuram, is known for magnificent sculptures depicting Puranic incidents.Kapaleeswar temple is dedicated to Lord Shiva. 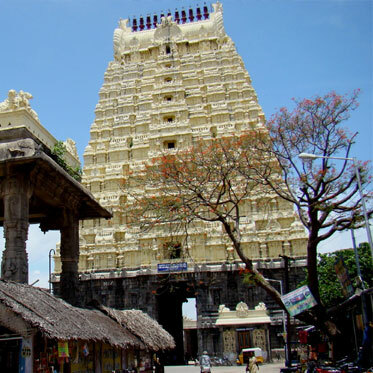 The temple houses the shrines of Kapaleeswar (Shiva) and Karpagambal (goddess Parvati). 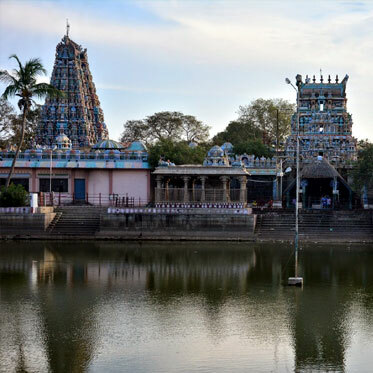 The town of Pillaiyarpatti is named after Pillayar - the tamil name for Ganesha, Karpaka Vinayaka temple houses rock cut images of lord Shiva and others as well as several other shrines. 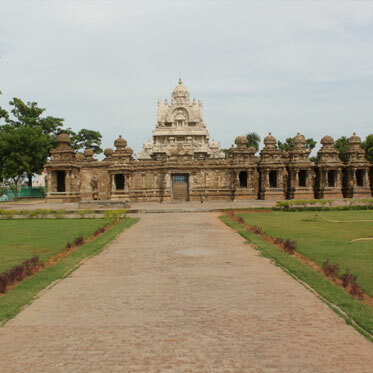 One of the most ancient temples in Kumbakonam, the small Nageswara Swami - Shiva temple, one of the finest early Chola temples, is noted for the quality of its sculpture, thought to have been completed a few years into the reign of Parantaka I (907 - 940). 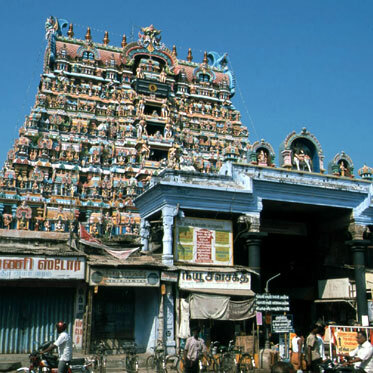 The Chidambaram temple houses the Nataraja (Shiva in Ananda Tandava pose; the Cosmic Dance of bliss) statue. It is of great religious, historical and cultural significance. 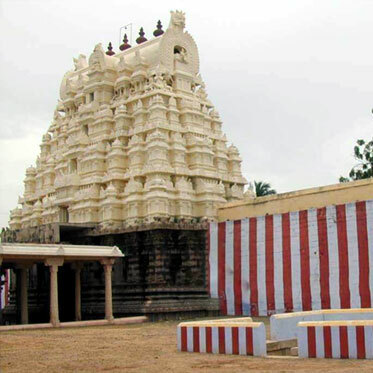 Chidambaram is one of the foremost Shaivite shrines in India. The consecration of the temple of Lord Rameshwar was done by none other than Lord Rama himself, and thus acquired his name. 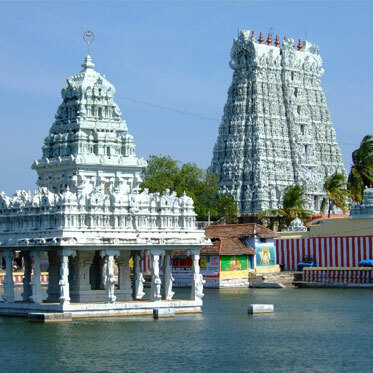 Rameswaram temple is situated in a large island surrounded by sea in the southern side of India. 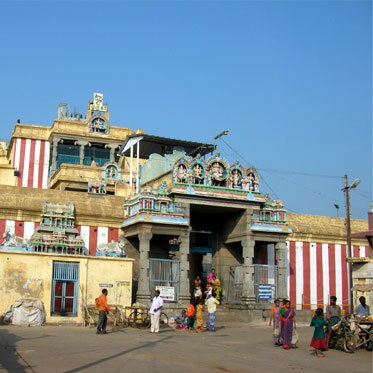 Saranathan Temple is 11 km southeast of the railway station at Tiruccherai. 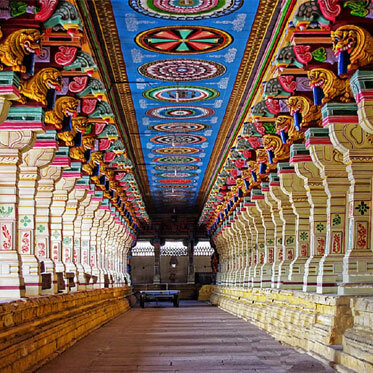 It is also called Pancha Saraksetrwn, and it is considered one of the most important Divya Desam temples. It is on the bank of the Kaveri River. 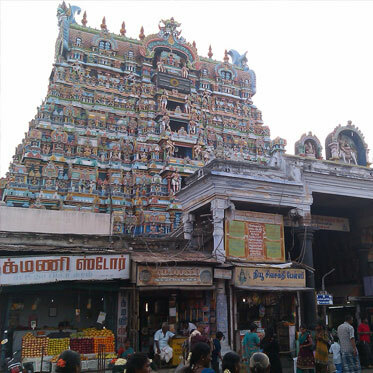 This temple lies in the Tanjore district of TamilNadu. 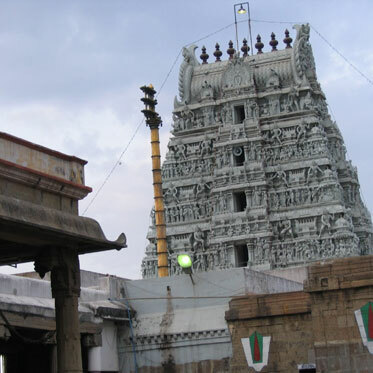 Suchindram temple, built mainly in the 17th century, is 13 km from Kanyakumari. It contains a linga, known as Sthanumalaya Swami, the triple aspect of God. 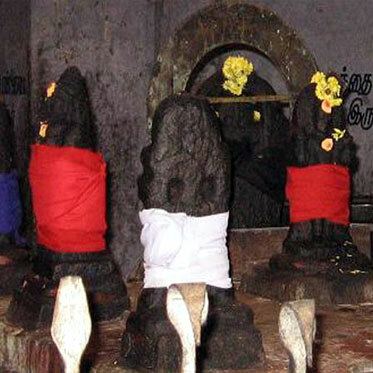 This linga is Siva, Vishnu, and Brahma in one form. Nellaiappar sivasthalam is one of the Pancha Sabha Temples (Copper) of Lord Shiva. 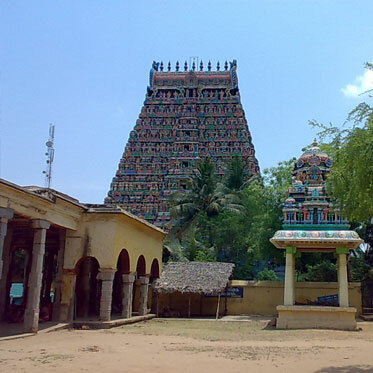 There are 2 temples at Tirunelveli, one for Lord Shiva who is known as Nellaiappar and the other one for Kanthimathi Ammai. 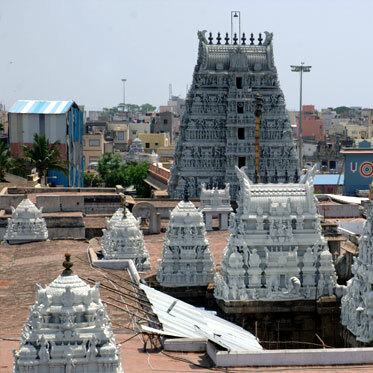 The first of the Vaishnava temples in south India, the Sri Rangam temple is the premier amongst the 108 Vaishnava divyadesam. The Vaishnava Acharyas made it the head quater of the Vaishnava movement. 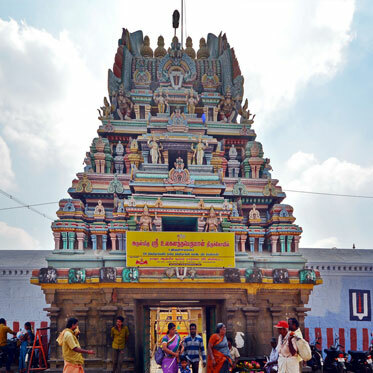 Ulagalanda Perumal temple, situated very near to the Kanchipuram bus stand, is one of the most important temples of Kanchipuram, the city of thousand temples. 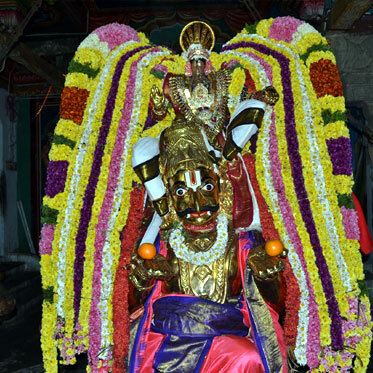 The temple is famous for the gigantic image of the main deity of ulagalanda perumal an incarnation of lord vishnu. 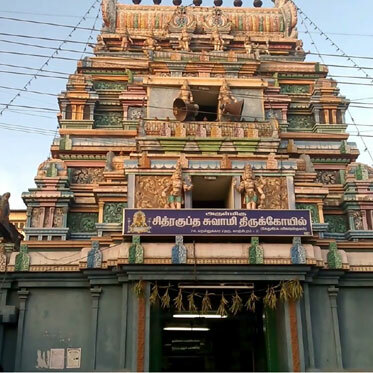 Sri Vanamamalai Permual Temple is dedicated to Lord Vishnu located at Vanamamalai(Nanguneri), Tamilnadu, in the banks of Thamiraparani river. 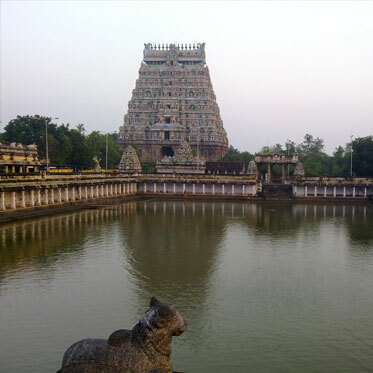 The temple is a "Divya Desams", the 108 temples of Lord Vishnu. 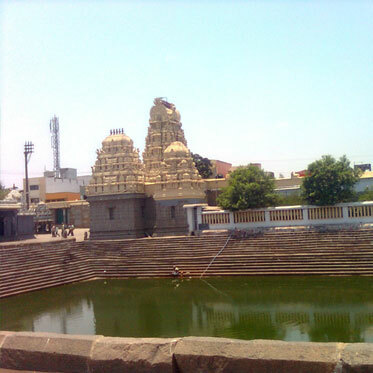 Varadaraja temple is a Divya Desam, one of the 108 primary Vishnu temples. The Dhwajasthambham is made of a single piece of stone.The idol of Sri Varadaraja Perumal is housed in the sacred Pushkarini tank . The deity is taken out only once in 40 years for worship by devotees.